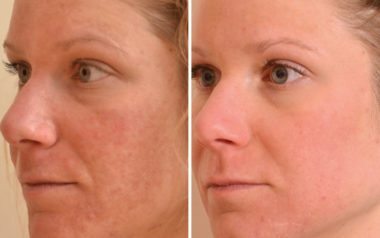 Laser skin treatments have evolved in recent years and can now address a range of cosmetic concerns from changes in skin texture to scarring and sun damage. The beauty of laser treatment is its ability to harness the body’s natural healing process in the stimulation of increased collagen production. The depth of the laser is the key factor in what it can treat and the type of results you can expect. The Halo Hybrid Fractional Laser offers the “best of both worlds” with a dual laser that can boost collagen production for lost volume and improve tone and texture on the surface of the skin, as well as dramatically reduce even the most stubborn brown pigmentation with no downtime. Halo: How Does It Work? 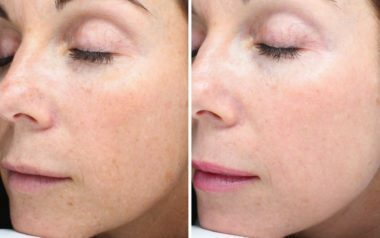 The ability to customize the depth of the laser provides a more individualized treatment that can also be tailored to target specific areas of the face. We work with our patients to create a personalized treatment plan for your unique cosmetic goals and skin types. The number of sessions or treatments you will receive is dependent upon your goals and will be discussed during your initial consultation and evaluation. Using a topical anesthetic for comfort, the hand-held laser device is moved across the surface of the skin in areas to be treated. Most patients experience a warming sensation with some mild pressure, especially in sensitive areas around the eyes, nose, and lips. Once complete, you can expect to see minor redness or swelling that will dissipate within a couple of days. Patients can typically return to their normal daily routine right away, depending on the location and intensity of the treatment performed. The results of a Halo laser treatment will appear gradually and can last for years with a good skincare regimen. We can discuss the benefits of using professional skin care products to support improved collagen production and protect from environmental elements.